The sounds systems now available in the sound market differ from each other by its size, sound and price value. The basic knowledge required to select a sound system is not the thorough knowledge about the sound and acoustics but it’s just your need and the way you want your speaker to sound and reflect your attitude which ultimately depends on the size and the acoustic property of your room. The building up of your own system typically starts with the cautious selection of speakers which comes under your budget without making any mess with your routine livelihood. You have to focus on the basic components initial and then save up some money to upgrade your system in future. 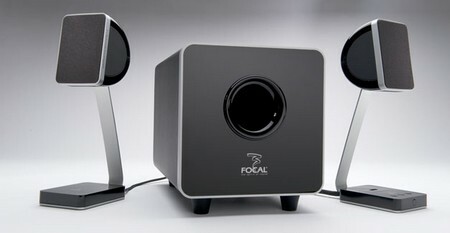 The concept of more speaker have good acoustic effect is absolutely wrong. Remember we are focusing on the clarity of sound rather than its amplification. The cluttering of system with more speakers will ultimately lead only to many harmful interactions among speakers. The worse situation is the sound cancellation which has harmful effects on the speakers. First you have to start with a midrange sound system which normally has 60 Hz frequency. The basic head unit helps in playing the music in variety of formats, so choosing the apt head unit is so important and it should be adaptable to our needs and usage. Amplifiers energize our sound system which acts as a main component. The amplifier which have the capacity to with stand the loads of having many speakers linked to it with varying volume levels. If these amplifiers don’t withstand the loads of the speakers then the amplifier wiring will cause smoking crater. The selection of amplifier depends on the ample wattage and its load handling capacity. The subwoofers help in enhancing the quality of the sound; the combination of basic bass sound speakers’ dependents on the subwoofers and the amplifiers which help in sharing the loads of the speakers. When the subwoofer bought has rich depth and thump it enhances the basis of the thicker tones and sounds of your systems .The load of subwoofer also rests on the amplifier so it is necessary to select the amplifier which withstands the loads or you have to end up with the smoking effect from the wiring of the amplifier. With the set up sound system you have to try out different genre of music which can make you feel proud and happy of the sound system you possess. Watching different genre of movies on your home-theatre setup would have in trying different equalizer effects and sound setting such as bass, treble and surround. Arranging your speakers according to your room orientation and finding out best suited place helps in feeling the acoustics of your system. In case of a car speaker system use the surround effect effectively and feel the sound around you enhancing your life.